You’ll need a large container to make this in that you can sterilise and seal. A demijohn is great for it or a big kilner jar or similar. Pretty bottles that you can seal are a great way of presenting your finished vodka and make great presents. This will make about 900ml of vodka. Tip in the vodka and seal the top of the container. Shake the container well and leave in a cool, dark place. Shake the container whenever you remember over the next 3-6 months, ideally daily. Eventually the sugar will have dissolved and you’ll see the vodka take on a delightful pinky/purple colour. 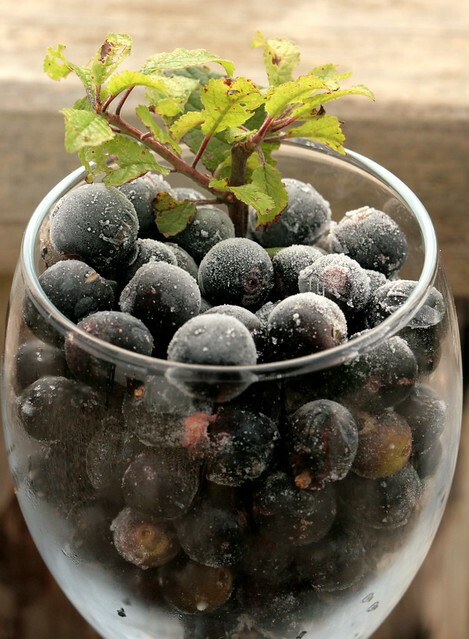 At the end of your 3-6 month period, strain the vodka off the sloes using a double layer of scalded muslin. DO NOT throw the sloes away. Pour the vodka into your presentation bottles or your reserved vodka bottle. Ideally, you will allow the vodka to mature for at least a year. See how you get on and let me know in the comments. Good luck! And next, the fridge jam.